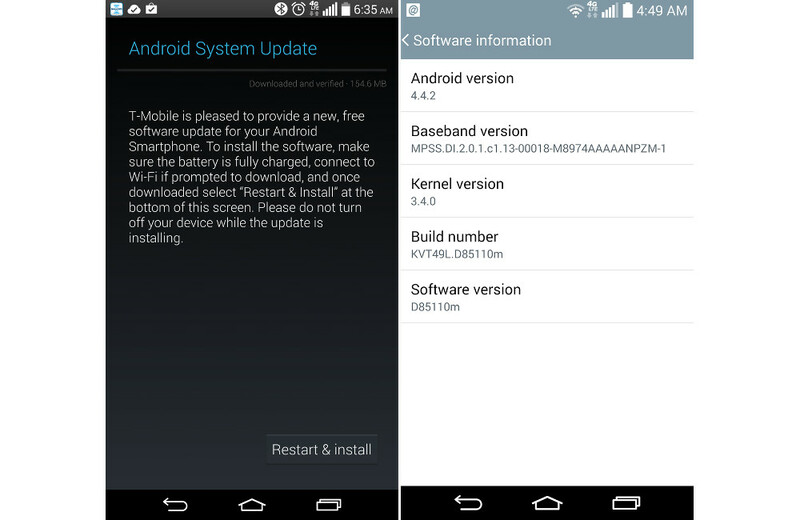 T-Mobile’s variant of the LG G3 started receiving an update (D85110m) last night that weighs in at 154MB. The update, at least for now, is mostly a mystery. T-Mo has yet to post a changelog to their support area, so until that happens, we will have to rely on your word. As we find official word, we will update this post. Update: T-Mobile has posted a changelog. So far, we are only seeing enhancements to WiFi calling. To check for the update, head into Settings>About Phone>Update center>System updates>Check now. Cheers Alan, David, Xavier, Brian, Saul, @Photobrat_78, @JustinWoodman, and Mark!